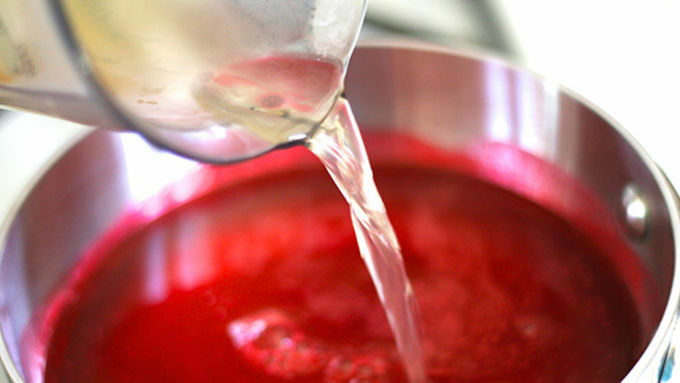 Combine a small package of strawberry gelatin and 1 cup of water. Heat on the stove until the gelatin has dissolved. Stir in 1/2 cup rum, 1/4 cup Grand Marnier™ (or triple sec) and 1/4 cup fresh squeezed lime juice. Set aside. Shave a tiny bit from the bottoms of the strawberries. Be careful that you don't take too much off: just enough to allow them to stand upright. Then, hollow out the strawberries, using a strawberry huller, paring knife or grapefruit spoon. 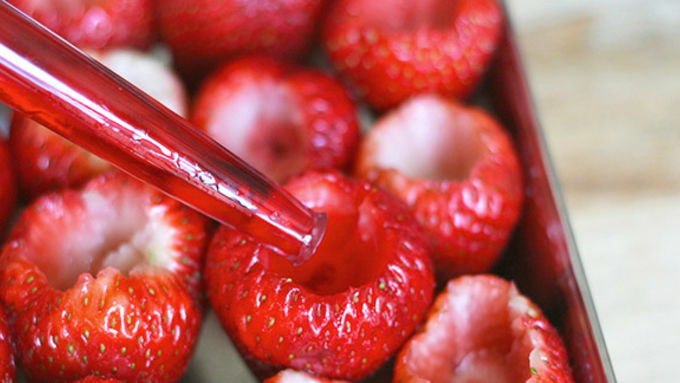 Set strawberries snugly into a pan and fill them with spiked gelatin. Refrigerate and allow to set 3-4 hours. Just before you're ready to serve, rotate the rim of the strawberry in sugar. Garnish with mini lime wedges, if desired, and serve! May is National Strawberry Month! That seems deserving of a celebration, don’t you think? And since we're of the opinion that celebrations are made better by an awesome jelly shot, let’s combine the two! These might be the best jelly shot to date. Not only do you get the boozy fun of a jelly shot, but also the vessel that holds the shot is edible. And not only is it edible ... it’s a sweet, delicious strawberry. It doesn’t get much better than that! 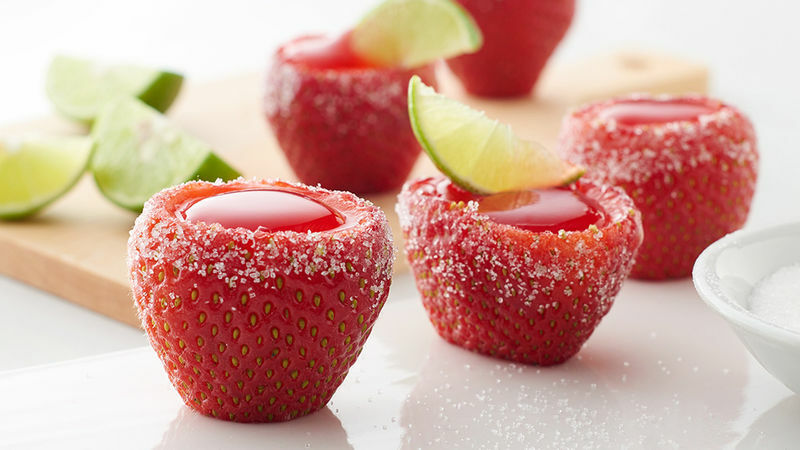 To turn the strawberry into an edible shot glass. Shave a tiny bit from the bottoms of the strawberries. Be careful that you don’t take too much off ... just enough to allow them to stand upright. Then, hollow out the strawberries. If you have a handy dandy strawberry huller go ahead and use it, but a paring knife or grapefruit spoon would work too. 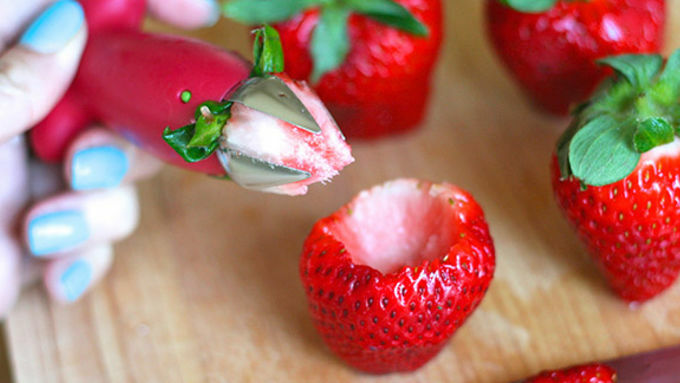 A turkey baster works great for filling the strawberries with the Jello! Refrigerate and allow to set 3-4 hours. Just before you’re ready to serve, rotate the “rim” of the strawberry in sugar. (No need to wet the berries, the sugar will stick on its own.) Garnish with mini lime wedges, if desired, and serve! 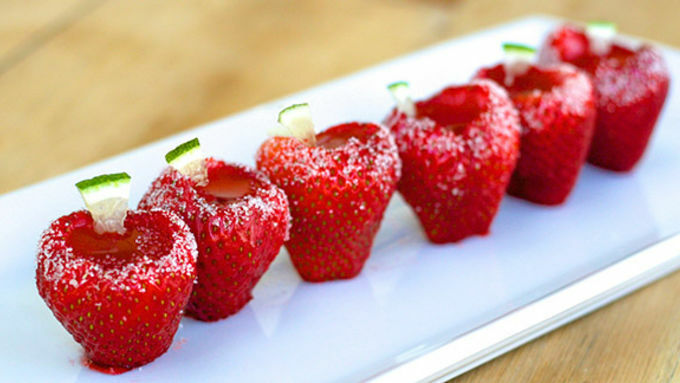 Cheers to the strawberry – and endless summer BBQ’s filled with these sweet treats!